It used to be that if you wanted to see blue-footed boobies and giant colonies of sea lions sunning in the Galapagos Islands, you had to travel a bit as Charles Darwin did, on a research-style vessel whose creature comforts came second to up-close nature encounters. That’s changed. Explore the Patagonian landscape on the lesser-known Dientes Circuit. For those up to the challenge, this adventure is a unique way to experience the End of the World! "Namibia is probably best known for its huge, brilliantly colored sand dunes. For those attracted to Africa’s famed wildlife it would seem a less likely destination than East Africa and the Serengeti. Yet it’s a place that’s home to elephants that have adapted to the desert as well as zebra, giraffe, various antelope, ostrich, lion, cheetah and leopard." Discover this land of dunes and denizens on our Namibia Adventure trip. Our Trip Planner, Mary Curry, was named the Travel+Leisure "Top Travel Advisor" for Small Ship Cruises this year! She specializes in family travel and adventure travel. However, she has personally traveled to numorous destinations and is an expert who can help you with most ANY travel dreams you might have. 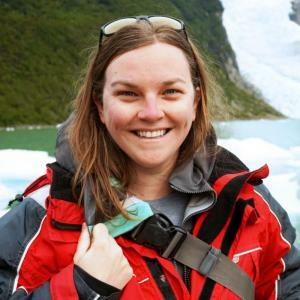 Travel+Leisure named our very own Erin Correia as the 2018 Top Travel Advisor for the Galapagos Islands! Some other destinations she specializes in include Antarctica, Peru, & Patagonia. This is a much-deserved honor for our expert Trip Planner. Adventure Life's Laos in Motion trip has been recognized as one of the National Geographic "Must-Take Tours Throughout Asia"
It's Crucial That Expedition Cruise Ships Respect the Environment. Here's Why. Cruise Critic seeks the input from our very own "Mary Curry an expedition cruise expert at Adventure Life, a travel company that helps passengers organize trips, who has been working with the industry for 17 years" for the discussion of why it is important for cruise ships to operate with sustainability as a priority. Our General Manager, Jonathan Brunger, was interviewed for his ideas of how to get involved in ecotourism to foster a more sustainable travel experience. Check out his input in points #2 & #3 of this article. Photos of Antarctica just simply cannot do it justice. 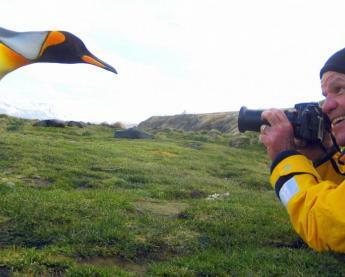 Explore the Great White Continent up-close with Adventure Life! Forbes Magazine named our very own Cotopaxi Mountain Biking tour one of "Eight Of the Best Bicycling Vacations Around The World". Just in time for World Bicycle Day on June 3rd! Elite Traveler magazine scoured the globe to compile an ultimate list of adventures. We are honored that this prestigious publications named our Samui Seascapes itinerary in Koh Samui, Thailand one of the "Top 50 Adventures" to take this year! Travel Weekly featured our exciting addition of the Ultimate Alaska tour. Explore "The Last Frontier" by bush plane, water taxi, river raft, and more! Travel+Leisure Magazine sought out the advice of our very own Trip Planner, Mary Curry. She also happens to be on the Travel+Leisure A-List of travel agents for Adventure Cruising. See what advice she has to give anyone looking to take a cruise. "Brian Morgan’s life may have taken an entirely different course were it not for a well-positioned stranger on a return flight to Missoula...." Learn about how our CEO/Founder, Brian Morgan, found his passion in travel. 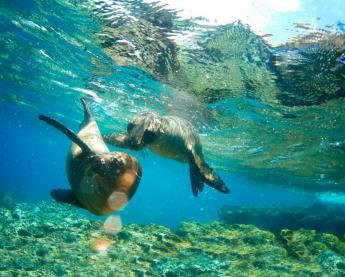 "The Galapagos With Kids - A bucket list item they never knew they had." Anthony Flint sings praises of the Enchanted Islands as a destination with his family. 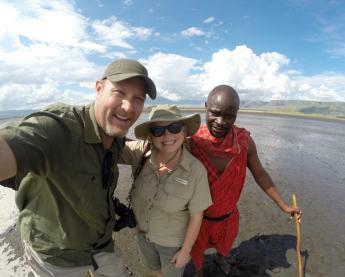 "Adventure Life, a Missoula-based adventure travel company that specializes in organizing international tours, offers a host of generous and unique policies and benefits to keep employees happy." Find out more about these unique policies that have been recognized for keeping our team happy! 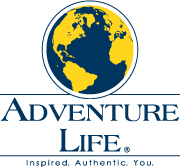 Adventure Life was named one of Stride Travel's Top Tour Operators for Machu Picchu! See all of our Peru trips here. Brian Morgan, CEO & Founder of Adventure Life, was recently named the 2017 Travel+Leisure A-List Agent for Galapagos & Ecuador! He has been selected as the Travel+Leisure A-List agent for these destinations for 7 years: 2011, 2012, 2013, 2014, 2015, 2016, & 2017. Mary Curry, Trip Planner, was recently named the 2017 Travel+Leisure A-List Agent for Adventure Cruises! Travel + Leisure® and ‘World’s Best Awards’ are trademarks of Time Inc. Affluent Media Group and used under license. From Travel + Leisure Magazine, August 2017 © Time Inc. Affluent Media Group. Used under license. Travel + Leisure and Time Inc. Affluent Media Group are not affiliated with, and do not endorse products or services of, Adventure Life. Planning a honeymoon is no easy task. From making a budget to picking the right hotel, it’s a lot of work and pressure — especially when you’re traveling outside your comfort zone. Your honeymoon shouldn’t be a headache, which is why Adventure Life takes the burden of planning off a vacationer’s shoulders. 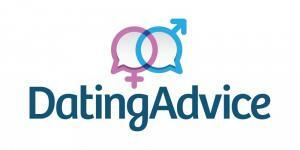 Their convenient travel packages and booking services save couples time, stress, and money. See all of our Honeymoon Adventure options. Get a unique perspective of an Adventure Life traveler while experiencing the Galapagos Islands. She compares the Enchanted Islands to Eden...learn why. "Adventure Life takes an active approach to Namibia in its new 12-day trip. Travelers will climb the vast sand dunes at Sossusvlei, go sea kayaking on the Skeleton Coast and take game drives in Etosha National Park and the private Ongava Reserve. The trip also visits the Huab Conservancy in Damaraland, home to the endangered black rhino..." See all the details of our Namibia tours.